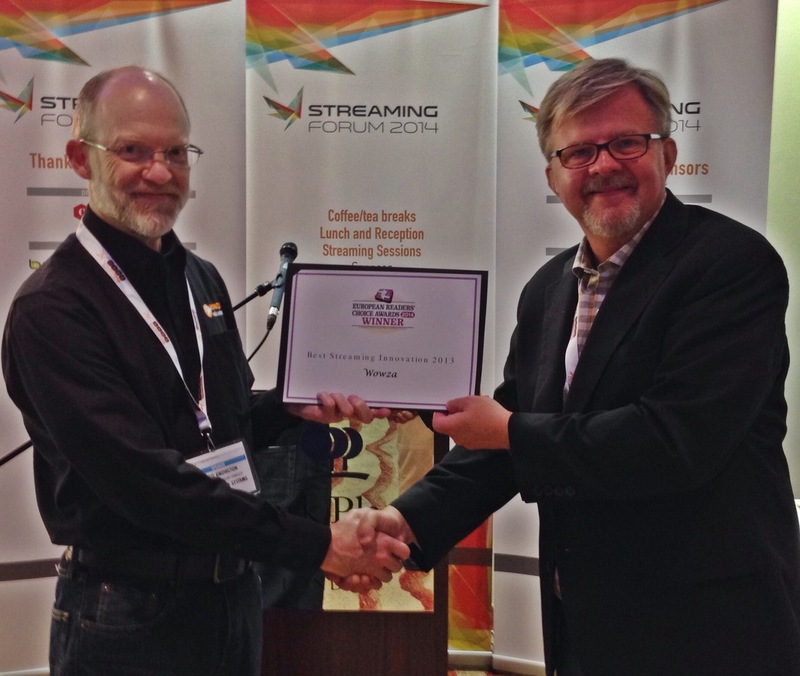 We are pleased to announce that Wowza Streaming Engine won the European Readers’ Choice Award for Best Streaming Innovation 2013 at Streaming Forum 2014 in London on June 24, 2014. This marks Wowza’s seventh consecutive Readers’ Choice win. Wowza VP and Streaming Industry Evangelist, Chris Knowlton was on hand to accept the award. The Best Streaming Innovation award is described as “The ‘catch-all’ category, for simply the coolest, most innovative streaming product, service, or event of the year from April 2013 to March 2014”. Thank you to the Readers’ Choice voters who selected Wowza Streaming Engine as the winner in this category.